We have a piece of cake here since we don’t have to give information about a brand new dentistry waiting to be introduced; thousands of satisfied smiles over 20 years are our reference. 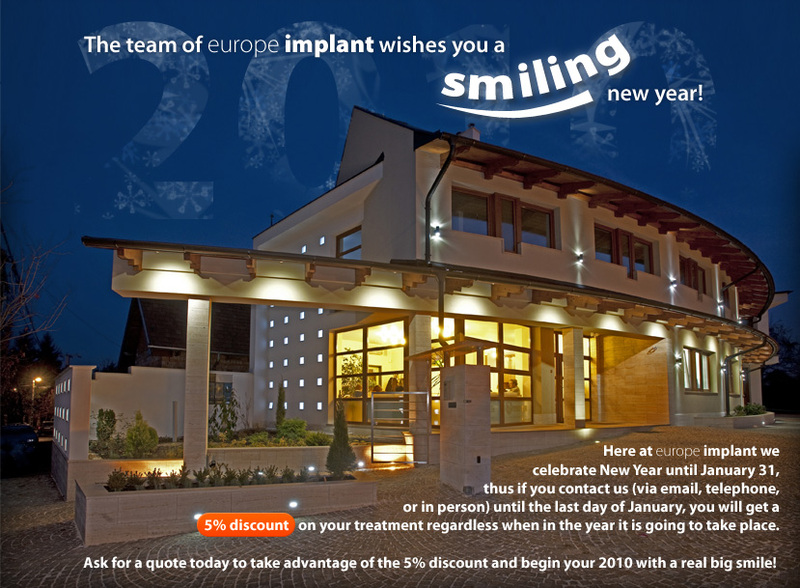 We compiled our webpage for your convenience to give you the most information about the available dental treatments in Hungary, prices, accommodation and spending free time in Budapest. Thus, surprises can only be pleasant while you are being treated by our dentistry! All important information can be found on the site, so you will know in advance what is going to happen to you. If you still have any questions to be answered, don’t hesitate to contact us via e-mail or phone, we are happy to help you! We will give you a mobile phone during your stay allowing you FREE call to your dentist in any case. EuropeImplant in Hungary. Contact us on english! Flying to Budapest is as easy as 1x1. Capital of Hungary can be reached in many simple ways. For more details about budget airlines read more here. © Copyright europeimplant.com 2008. All Rights Reserved.